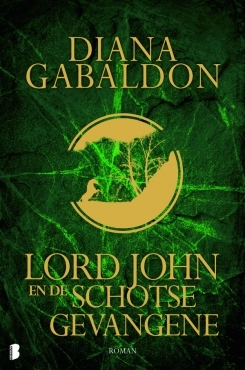 THE SCOTTISH PRISONER is the latest book in the Lord John Grey series, and the first-edition hardcover version was released in the U.S. on November 29, 2011. 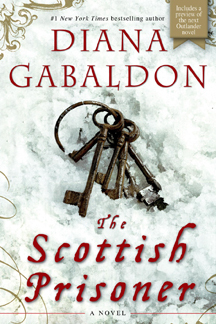 The trade paperback version of THE SCOTTISH PRISONER was released on May 29, 2012. Please use the “Paperback” purchasing links at left to order your copy. Note that autographed and personalized copies signed by Diana are available in both hardback or trade paperback from The Poisoned Pen bookstore. If you missed the launch party for THE SCOTTISH PRISONER, a video of my talk is now online! Other videos and interviews are also available at my YouTube channel and as iTunes podcasts. On November 18, 2011, Random House released a trailer video for THE SCOTTISH PRISONER on Diana’s Facebook page. Click here to watch it on Youtube. SCOTTISH PRISONER: Jamie or John?